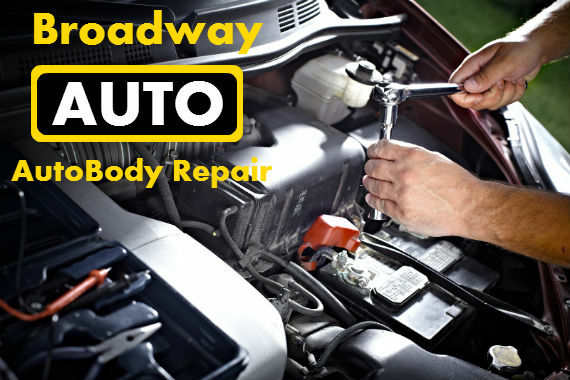 Broadway Auto & AutoBody Repair is your family owned and operated auto repair and auto body shop in Turlock, CA. This establishment is dedicated to the community it serves, providing you with a personalized job that you can be sure will be done right the first time. Having both an auto body and auto mechanic under one roof saves you time and you can get all your auto work done right here. "April showers bring May flowers but also make driving trickier. Test out your wiper blades to make sure they’re not streaking or worn out." "Leave car troubles in the rear view with Broadway Auto & AutoBody Repair!" "When someone asks you where the scratch on your car went, tell them the experts took care of it." "No job too big. No detail too small. Let us transform your car back to like-new condition." "Hearing from you is music to our ears. http://bit.ly/2rxwBBK"
Went for a brake and lamp inspection for a motorcycle. Very friendly and honest staff. Yes, I'd like to receive news from Broadway Auto & AutoBody Repair. Sign up for the Broadway Auto & AutoBody Repair Newsletter!